OH MY GOODNESS CHRISTMAS IS ALMOST UPON US. Sorry, just a momentary wig-out, there. Terribly unprepared. TERRIBLY. What to get for the dance-lover on your list? Always a puzzle. But fear not, we have some ideas! As the City of Vancouver keeps reminding us, giving experiences not stuff creates lasting memories and is good for the environment. Why not gift tickets to DanceHouse’s upcoming presentations of BJM or Carte Blanche, and keep that holiday feeling going into the new year? If you can’t make up your mind, we also offer gift certificates in any amount. The other fabulous thing about tickets? Buy two and go yourself. It’s a present for you, as well! PLEASE NOTE: Our on-line ticketing service is up and at ‘er 24/7, but our human ticketing system, aka the lovely Sharon Simpson, is taking some well-deserved vacation time. Our in-person and telephone box office services will be closed from December 19-January 2. 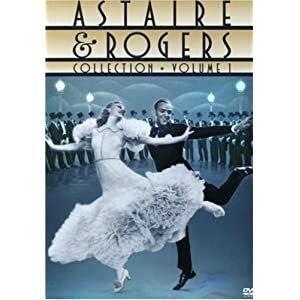 For homebodies, you can’t really go wrong with the Astaire and Rogers Collection, which includes five of their classic movies, including personal favourite Top Hat. If your giftee has dreams of performance, why not get them some dance lessons? Lots of people around town offering them. For younger folks, Arts Umbrella is serious training for dancers, as well as a fun introduction for younger kids; Harbour Dance has a huge array of classes for ages from tinies to adults; and The Dance Centre houses an array of companies working in many different styles. One universal truth: Dancers have sore feet. 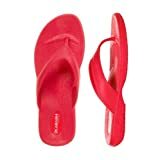 Get your favourite dancer some Okabashi flip flops so they can feel the blissful comfort of massage nubbins backstage or during down time. If you’ve successfully gifted something related to dance, tell us about it in the comments! We’d love to hear your stories, heart-warming or otherwise. ~ by DanceHouse on December 17, 2012.